Hi there Friends! Hope your week is off to a great start. Has the New Year’s organizing bug bit you yet? 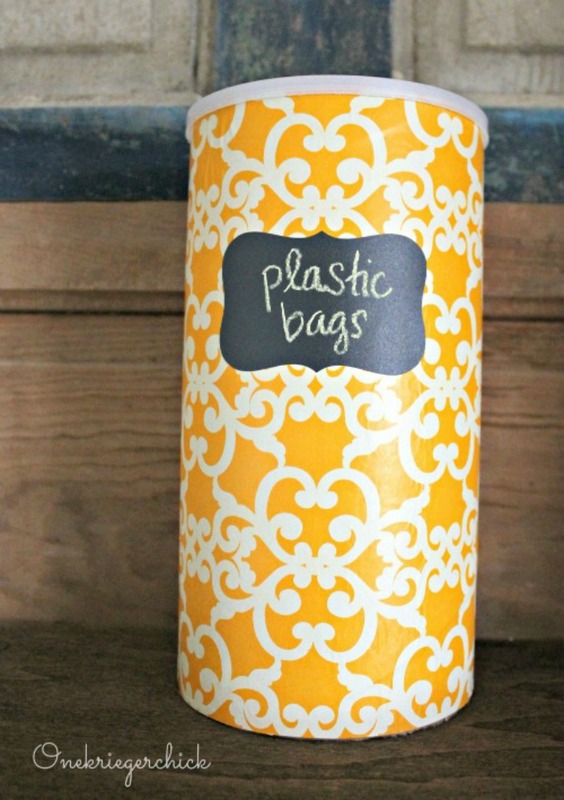 You can’t look at Pinterest these days without coming across tips to get organized. I love checking out everyone’s organizing ideas and organized spaces. I’ll be honest, organizing is not one of my strong suits. I’m not always sure where to start, but sure love it when it is finished! I have had these plain baskets sitting on top of my fridge for ages. One contains chips and pretzels and the other has treats (leftover candy I don’t want the kids to reach), but I was the only one who could ever tell which was which. Plus, they were just boring and needed some color. So, I painted them turquoise. 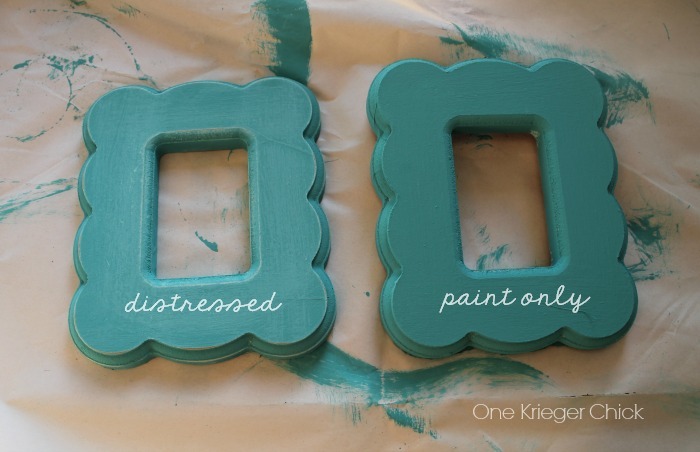 First, I painted them white, then added a coat of turquoise chalk paint. I finished them off by sanding them with sandpaper to distress the edges and giving them a coat of clear wax to bring out the color and texture. I cut a section of chalkboard vinyl and taped it to the back of the frame using a strong tape like duct tape. Only tape the sides and bottom of the vinyl. The top needs to be left open for the next step. 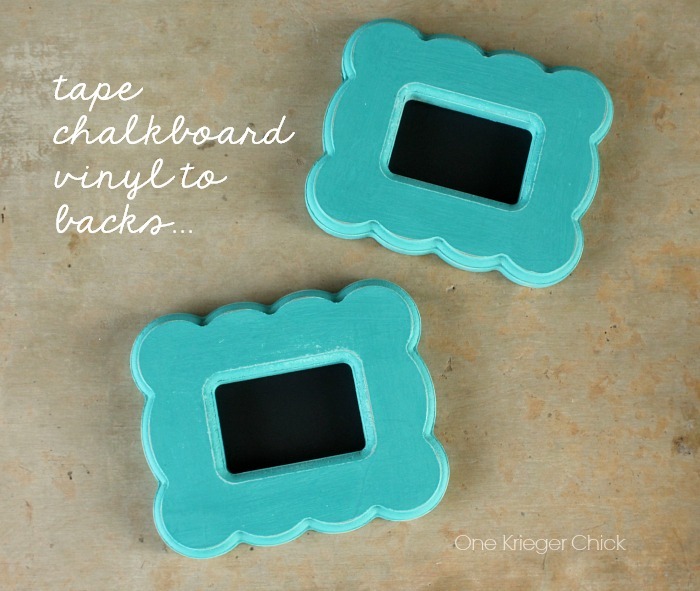 If you don’t have chalkboard vinyl, just paint a piece of heavyweight paper or cardboard with chalkboard paint. Run a length of ribbon through the top of the frame as shown. This is why you don’t tape the top of the vinyl. 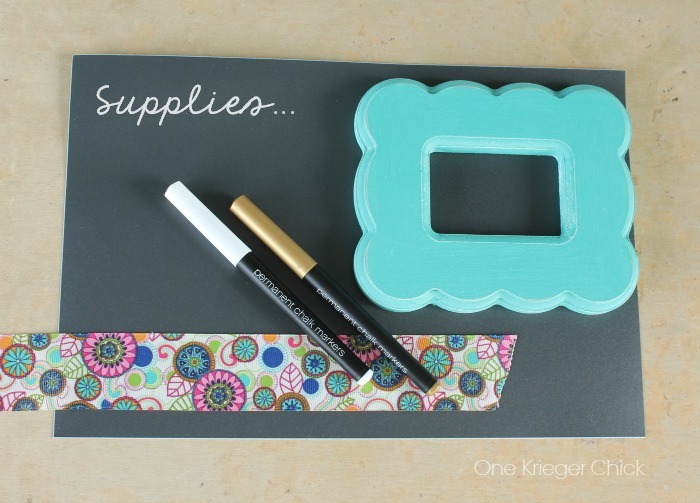 Add labels with a chalkboard marker. 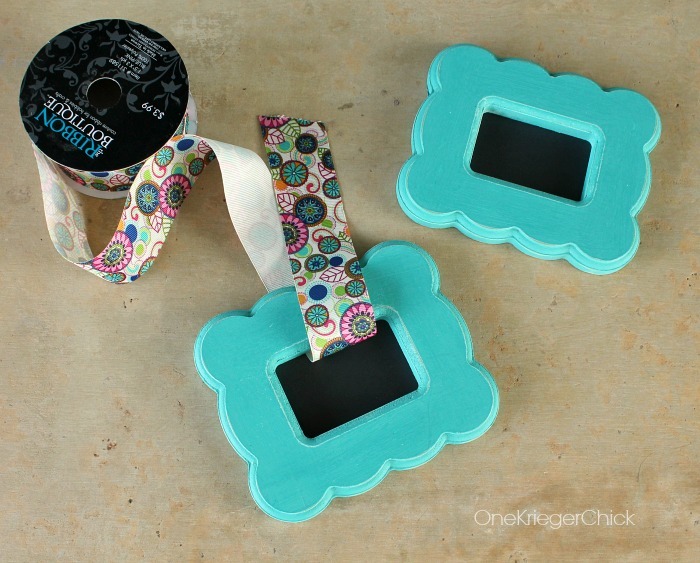 This can actually be done before taping the vinyl to the frame…up to you! I wrote my lettering out with regular chalk first, then traced over it with my chalk marker. And that’s it! Now I have pretty and organized baskets with no questions as to what they contain. I LOVE them, especially the fun ribbon! 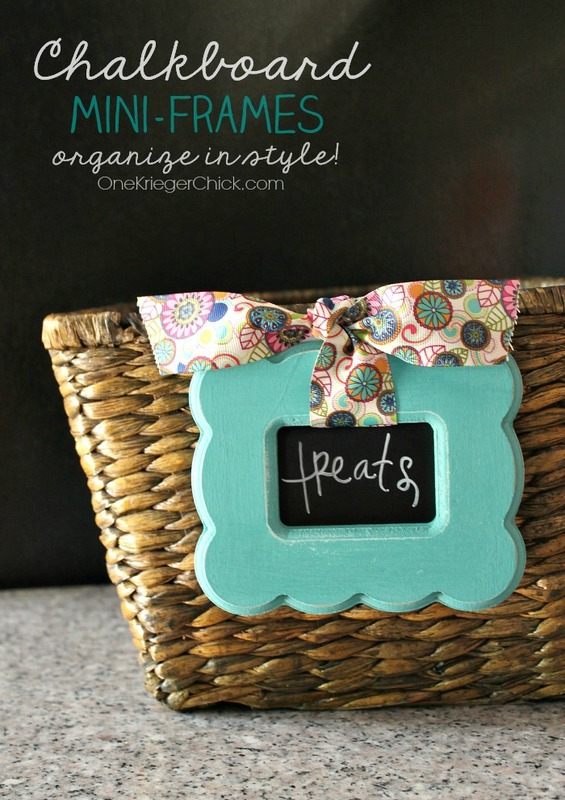 I absolutely LOVE these “frame labels”…..you make storage stylish! This project is adorable!! I have baskets in the playroom with chalkboards and I love them. But the baskets came with them. 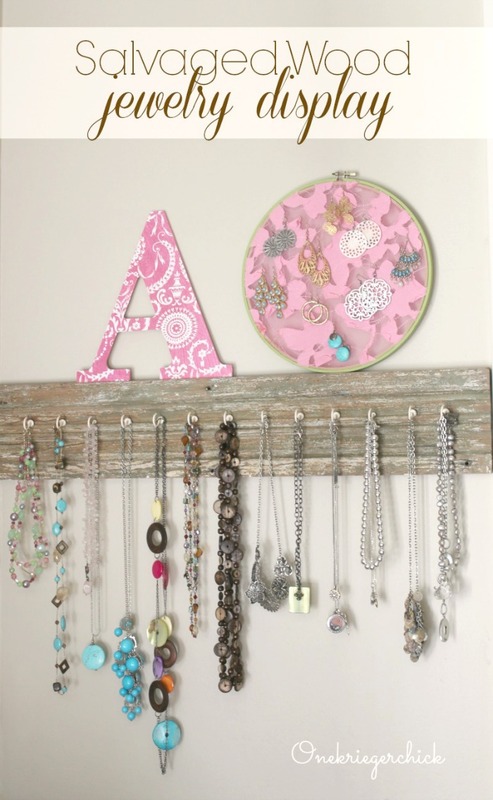 This is a great DIY idea.